Audi introduces AI: ME, an electric car that is used daily and targets people driving in city traffic. Shanghai Motor Show 2019 in China started. German automobile manufacturers are also present. Volkswagen, I.D. He exhibited his Roomzz concept at the fair. Audi also developed an electric urban vehicle. Volkswagen I.D. and the AI: ME is a rear-wheel-drive model built on the MEB platform used to develop newly developed and pure electric powered cars such as SEAT al-Born. The power produced by the vehicle’s engine is 170 horsepower, but Audi says that the car uses only a fraction of the power of the electric motor in use for the city. The company says the new AI: ME is already designed specifically for use in cities. Audi believes that the speed of a vehicle in urban traffic is between 20 and 70 kilometers per hour. For that reason, the company installed a simple hardware system in the vehicle, 65 kWh battery used. The vehicle’s range is not disclosed. 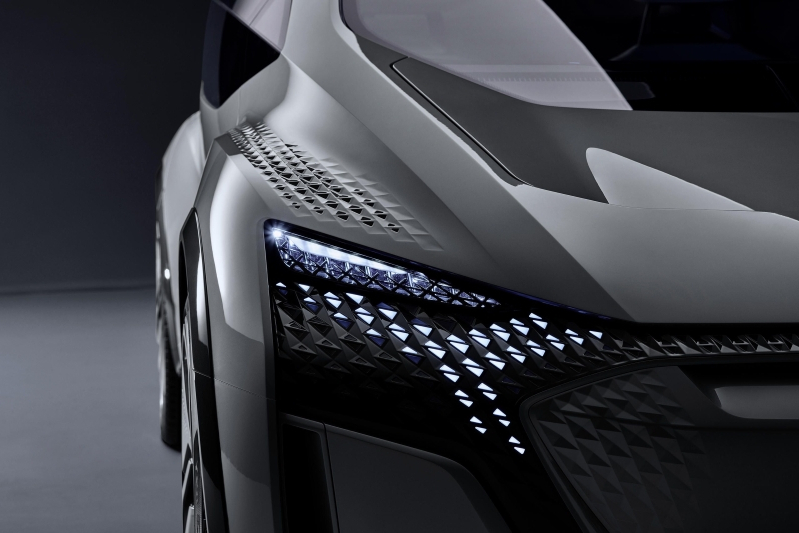 The winding has futuristic lines that we see in all concept electric cars. There are no columns between the doors, called the B-pillar in traditional designs, the windows of the vehicle make it possible to see a very wide area and the car has a minimalist cabin design. LED lights are used in both front and rear lights of the vehicle. AI: ME is expected to have 4 level autonomous driving techniques. AI: ME, 2017 Aicon and 2018 PB 18 appear to be the continuation of the concepts. The fourth and final part of this series will be exhibited at the Frankfurt Motor Show in September 2019.